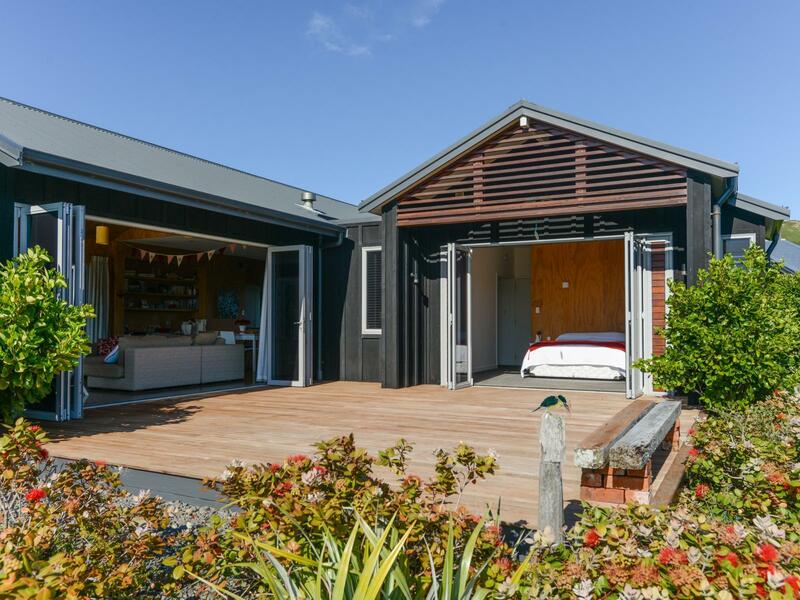 Designed by Simon Clarkson, this modern three bedroom water front property radiates quality throughout, winning the prestigious 2008 Hawkes Bay Architecture Award. Cleverly designed to capture unobstructed, picture postcard views overlooking the estuary, beach and rolling hills beyond, whilst ensuring complete privacy. Open plan modern kitchen flows out through double French doors to private patio with outdoor fire. Lounge, master and second bedroom open to large decks to enjoy the views whatever time of day. Living areas with cosy fire are the hub with master, ensuite and office area in one wing and additional two bedrooms in the other. Cleverly planted landscaping by Peter Welch frame the views and completes this stunning residence. Set in quality coastal community with Hawkes Bay's only marine reserve, this iconic destination offers a unique coastal lifestyle and additional amenities for those seeking an exclusive family holiday destination, home or retreat. Guaranteed to Wow you!